generously mist to release the vital flow of energy in the body. refresh and replenish with plum wine and whole rose hydrosol, delivering vitamin-rich hydration to the face, body and hair. 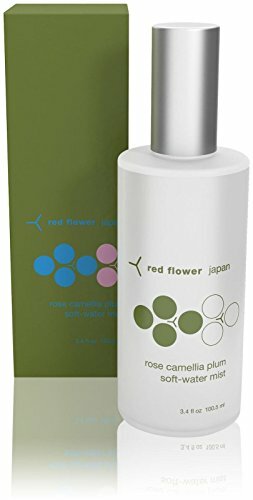 rose camellia plum soft-water mist brings deep, replenishing hydration and reduces the effects of sun damage while delivering sweet softness to the skin. a mist helps to balance the skin and restore its natural ph level, leaving the face, body and hair refreshed and ready to be hydrated. all skin types. dull, tight skin. linen spray. If you have any questions about this product by Red Flower, contact us by completing and submitting the form below. If you are looking for a specif part number, please include it with your message.